Our next Friends meeting is at school this Friday (23 January) at 2pm. This is a great opportunity for those of you who find it difficult to get to our evening meetings to come along and say hello. There's no obligation to get involved, but we'd love to see you there and hear what you have to say! 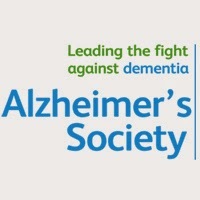 Also, please come along to our next Coffee Morning which will be in support of the Alzheimer's Society. There will also be a secondhand uniform sale, with proceeds going to the school and the new school nurse will be there for a chat. If you're able to help out at the coffee morning, please email info@friendsofwestjesmond.co.uk. Any help much-appreciated! If you're able to do any baking for the Coffee Morning, that would be great too. Please bring it to the school hall before or just after drop off on the day. There has been talk of "healthy bites" being a good idea at that time on a January morning - we leave it up to you!